Stay tuned for upcoming events posted here or follow Plug-In BC for events here. Visit the Vancouver International Auto Show and test drive a variety of clean energy vehicles! See the list of available vehicles here. We’re celebrating National Drive Electric Week at Sechelt’s 4th annual Electric Vehicle Festival. 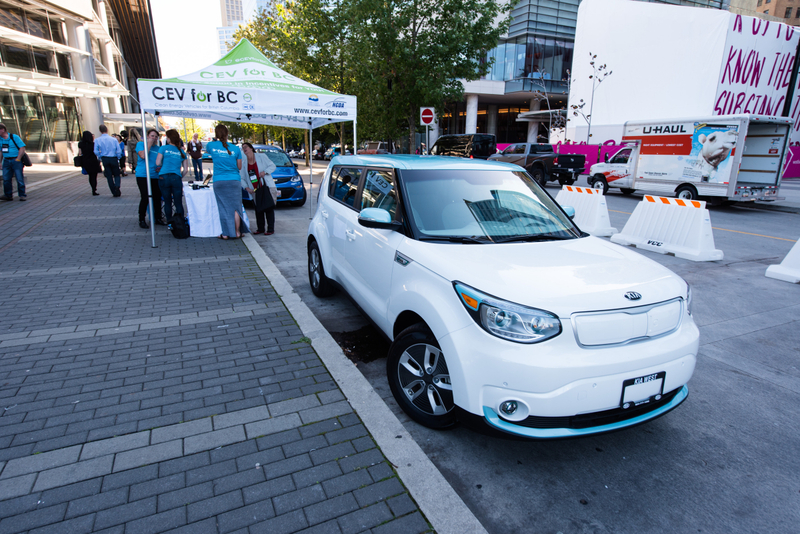 See some of the newest clean energy vehicles models available in the market and learn more about purchase incentives available through the CEVforBC™ Program. See you on Saturday, September 15. Learn more here. Where: Sechelt’s Trail Bay Centre parking lot (5755 Cowrie Street, Sechelt BC). What: Now in its 23rd year, ElectraFest features electric mobility and related sustainable tech showcase, bringing together dealerships, manufacturers, vendors and installers to exhibit their products and services. What: Kamloops media and citizens are invited to experience Clean Energy Vehicles (CEV) in Kamloops! More info here. Nanaimo, July 20-21: Electric Vehicle Display at Bathtub Days! What: Nanaimo media and citizens are invited to experience Clean Energy Vehicles (CEV) on July 20th and 21st during Bathtub Weekend. What: CEV Test Drive at Campbell River’s Giant Indoor Garage Sale. Taking place in the Campbell River Community Centre parking lot, Electric Avenue is the perfect opportunity to learn more about the provincial CEVforBCTM incentive program, ask questions, and see a CEV up close. Featuring top-of-the-line models, curious visitors will also have the option to get behind the wheel to test drive some of the most advanced technology in the auto industry today.